Back in the days, when I decided to join StackOverflow, I was forced to create an OpenID – because this is the way to login on StackOverflow. Now, myOpenID is shutting down on Feburary 1, 2014. Thus, I had to switch my OpenID provider. Fortunately, OpenID delegation makes this easy – you just replace the two delegation <link> tags and you’re done. So I created a new OpenID there, replaced the <link> tags (details), done. Works like a charm. In Windows 8, Microsoft changed the UAC slider’s lowest setting from “Disable UAC” to “Hide UAC”. So, even with the lowest setting programs will still not run with Administrator privileges (like in Windows 7). 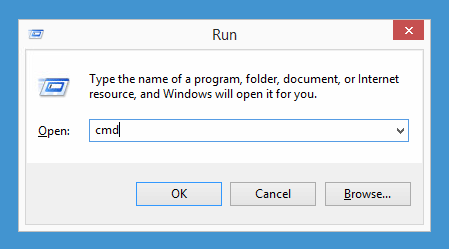 Windows’ "Run" dialog with UAC still active. After that restart and UAC is disabled. 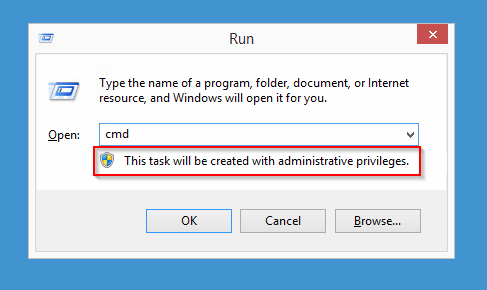 Windows’ "Run" dialog with UAC disabled. Only do this, if you’re aware of the consequences. Disabling UAC may make the system less secure. To reenable UAC, use -Value "1" in the command above.